Tak jsem zase jednou po dlouhé době navštívil jeden ze závodů Brněnské zimní ligy. Téměř 150 přihlášených závodníků dalo tušit pěknou konkurenci. A když se k tomu přidá návštěva O-gala předešlého večera/noci, tak bylo jasné, že závod nebude úplně zadarmo. Kvarteto Žabiňáckých pořadatelů domluvilo pěkné zázemí v útrobách školy v Líšni, takže ani chladné podzimní počasí moc nevadilo. Z kuloárů jsem se před závody doslechl, že mapa bude trošku punková, tak jsem se na to snažil trochu připravit. Pravda, hned první kontrola mě dost rozhodila. V mapě plot s privátem, v reálu barák.. Tak si říkám - pohoda, bude sranda, je to zimní liga :-D Někteří s tím bojovali mnohem víc... Třeba Zelda pořadatele pěkně sepsul... No asi je zvyklý na trochu jiný level zimních lig. Že by jezdil trénovat do Béďova kraje? Každopádně bych se rád zmínil, že SJ čáry nemusí lícovat s okrajem mapy (stačí si zajet na sever, tam je tato skutečnost poměrně běžná). A jaká že byla ta stavba trati? Já myslím, že si s tím Danáč pěkně vyhrál! Stejně tak byla velmi zajimavá volba na K9, která se ve vysoké závodní rychlosti může zdát vyrovnaná či jasná. Je zde vidět, že 3 ze 4 variant jsou velmi rovnocenné. Mimochodem, o-gala bylo taky supr. Fotky najdete na Kadeho stránkách! New training season has already started this week, so I realize to celebrate it on weekend competition. On programme were two long distance races. And I knew that after friday bike trip it will not be really easy race. On Sunday it was in quite similar terrain like on Saturday. Maybe it was not so green, but there were more climbing. So at result it should be the same time like on Saturday. But I did a lot of mistakes and some bad routechoices. Csaba beated me more than 5 minutes! Here is my second mistake. It looks like balanced routechoice, but the end was from my side to big hill so it was definitelly slower. 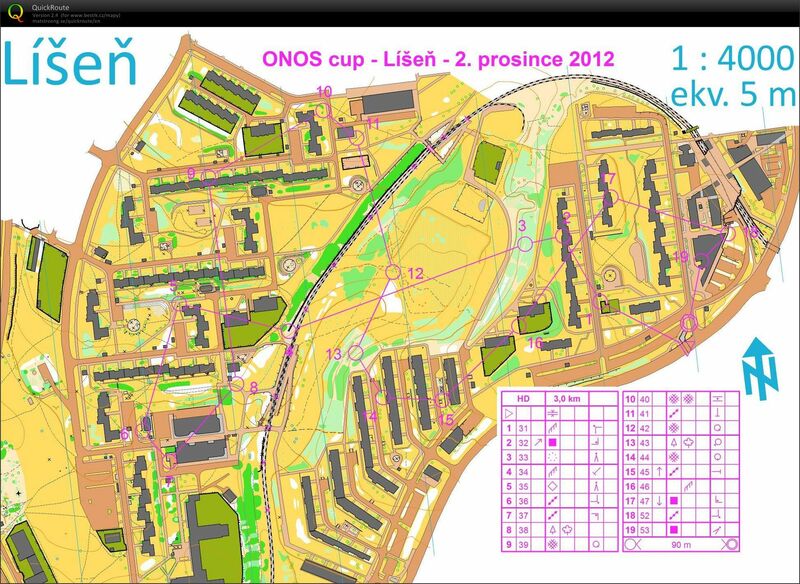 You can see here also position of the only one refreshment station on our 13,3km long track... I think it is not necessary to comment it closer. I did some more mistakes like control number one... small hole in the middle of nowhere... But this type of control points are in Hungary quite famous... I do not know. Maybe just I need more luck :-) Next chance will be next weekend in Juniper open. It is last hungarian competition. Than winter will come. So I have to find some another entertaiment for long winter weekends... Do you have any tips? This morning I check the weather forecast and I found out that it will be nice autumn weather without rain and temperatures about 18°C. It sounds like the best time to do some bike trip. My aim was to reach town Makó and continue with east direction to one geocache. 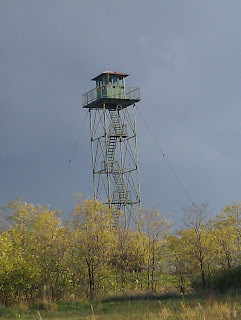 In fact, my pla was to found this cache, because it should be my the most eastern cache ever! As you can see on picture... sometimes this path ends on edge on big road ;-) But throw this small "mistakes" is bike paths net much more better then in Czech Republic. 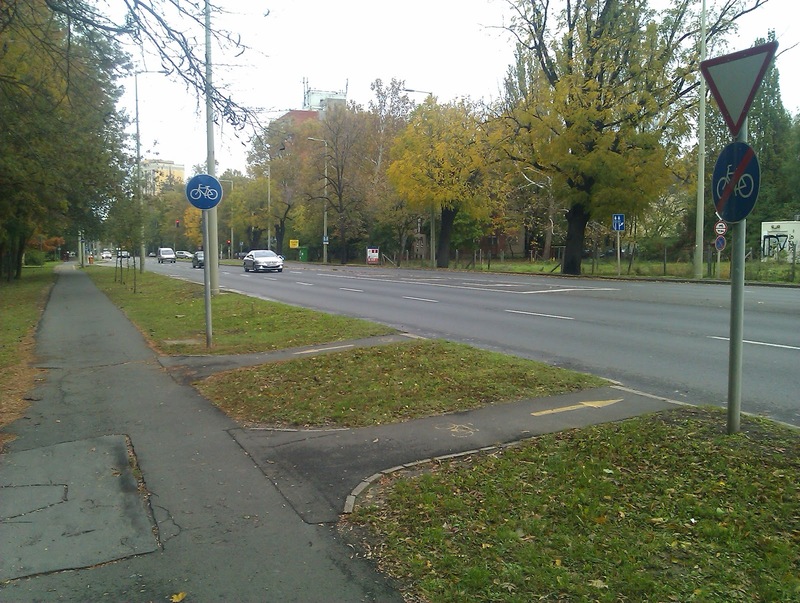 Also quality of paths are mostly better then in Czech. 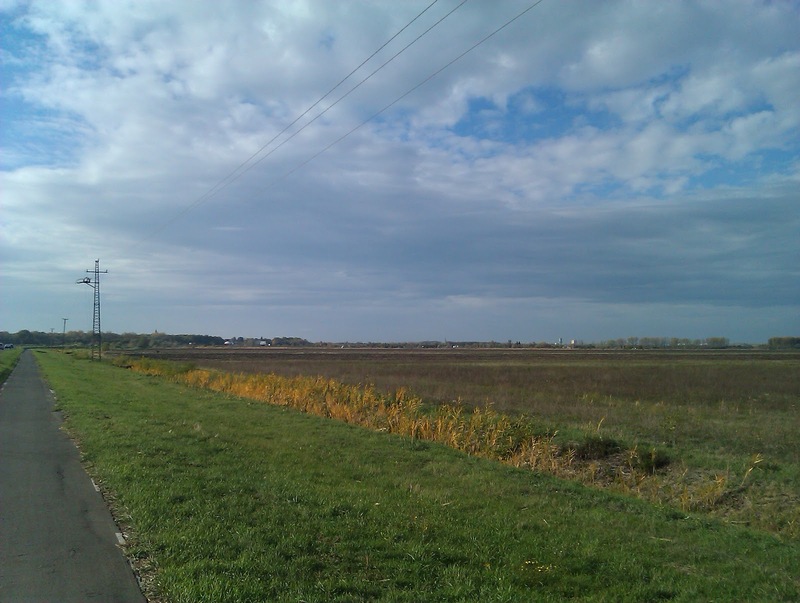 After first 15 minutes of finding route out of Szeged I was succesful and I went quite fast to east via Makó. 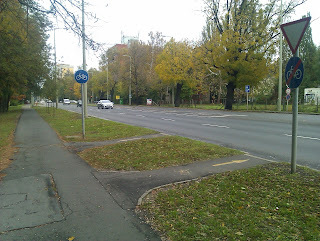 All the time there was special bike path near main road. But first problem came after 15 km. Bike road suddenly ended. 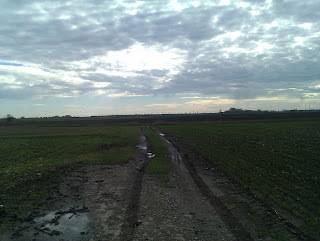 OK, In fact across big road there was one another dirty road, but it ended after few hundred metres. 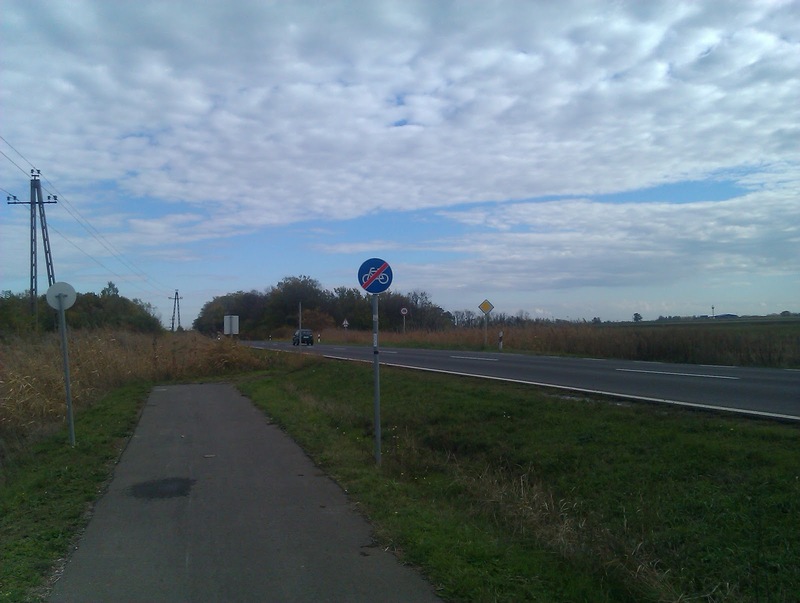 I meet there some hungarian "grandpa" and with usage of Hungarian-Czech-English-German language we discussed that this is end of bike road and it is necesery to go back 3 km to closest village and go aroud. I stop in the village for lunch and realize that is time to change plans. 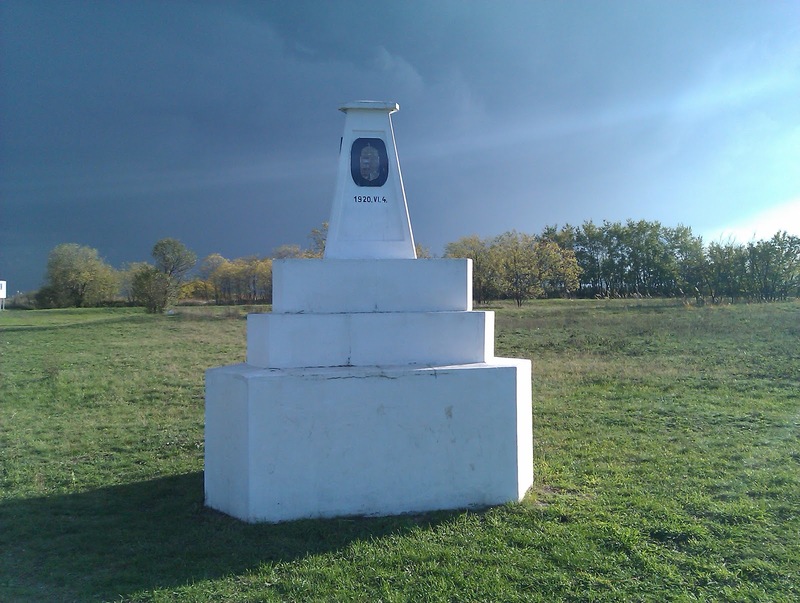 It was quite far away to easter geocache, so I find out that there is one more cache on Hungarian-Serbian-Romanian borders. 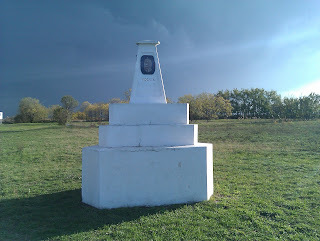 The Triplex monument. It mean to go one more village back to Szeged and then turn left to South. There was nice monument on this Triplex border. This weekend I have changed from o-runner to o-organizer. Together with club in Vsetín I was organizing sprint competition. It was sprint just for Walachia region - for ca 120 runners. At competition webpages you can find all informations about event. Here is link to routegadget. 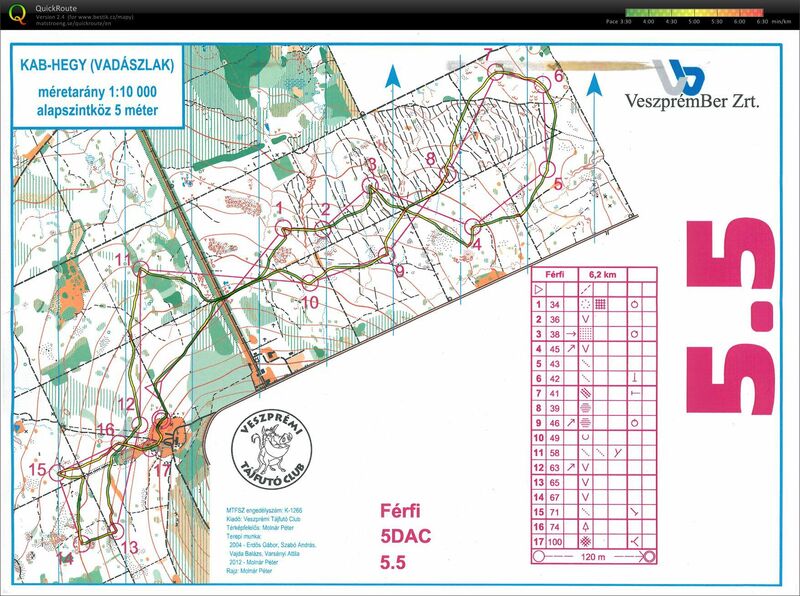 This week I have run last two Hungarian Championships of this year. It was two competition and both of them were completely different to Czech Champioships. On Saturday it started wisth Team Championships. In M21 class there were 4 guys from club which started with interval start. Results were sum of times of theese four people. 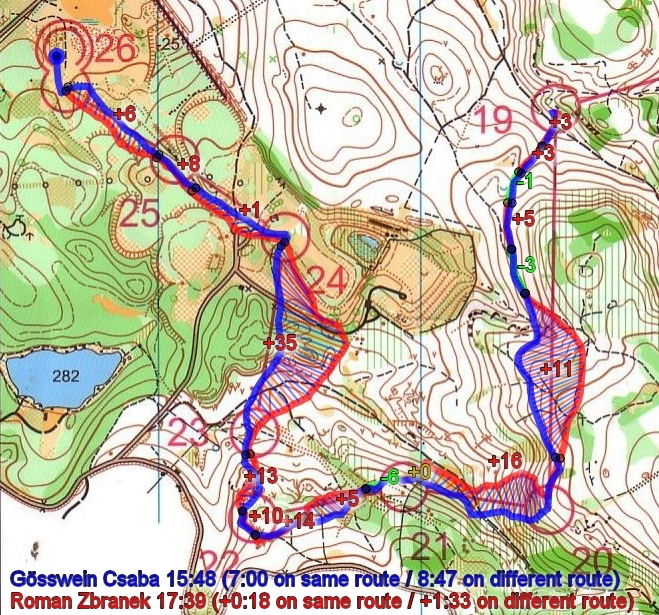 You can see results to understand :-) So as you can see we were second more then six minutes behind club from Eger. On third place were guys from TIPO club (Budapest). Two weeks after Czech Long Distance Championships I realized to visit also Hungarian Champs on the same distance. Event was prepared in terrains from WMOC2011. 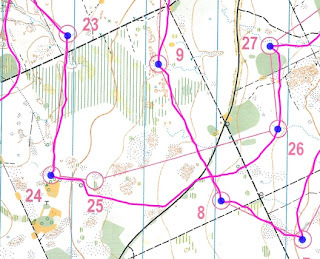 That means many of hills, some contours details and some green areas... In fact there was quite much green areas, especially undergrowth parts. Conception of both of champtionships was same - On Saturday qualification race and on Sunday final race. Parameters of qualification and final looks very similar to czech parameters. For qualification about 9km with climbing more then 400m. 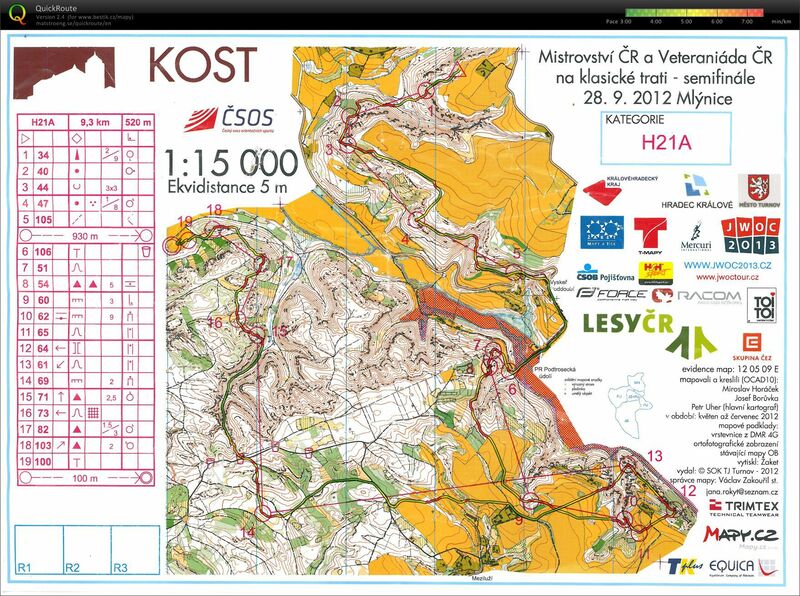 (in Czech it was 9,3km/520m) and for final race 13km with 630m climbing (in Czech 12,9km/645m). But of course it is not possible to compare competition in rocks with competition in hilly terrain). But i do not want it look that it was bad competition. Throw this some weird staffs if was nice long distance competition which really proof physical and also map skills of runners. For me was definitelly advantage to start on the end of startlist. 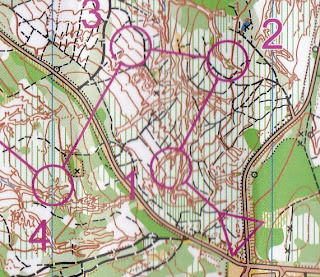 Mainly in parts between controls 14-20 there were in big slope some paths, so it was easier to run. 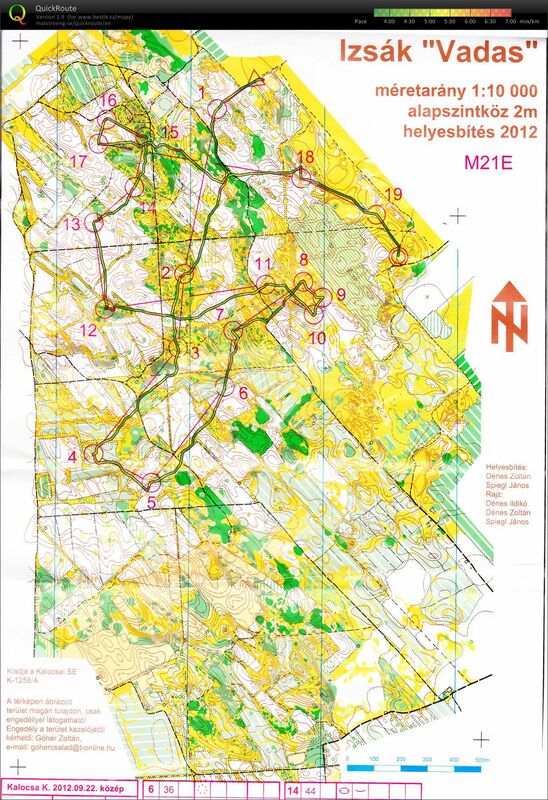 I spend in that course more than 95 minutes and ran 14,5km. It means overal second position! I was again beated by Ádám Kovács with more than 4 minutes. On third place was Máté Kerényi. Besides me we had two more medal position in champs classes. Mónika Szokol and Ildikó Szerencsi. Congratulations to both of them! Today I am comming just a brief post about last big competition week in Czech Republic. 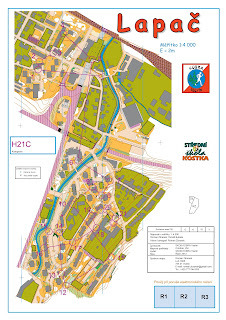 Everything started on Friday with sprint in terrains of WOC2008. I was studying in Olomouc for last five years, so it could be small advance for me. But organizer wrote on his webpages that there can start anyone and that is just forbidden to walk in city center with map. And because i know Olomouc pretty well, i have no reason to do that. Last time I like sprints pretty much and I hoped in some good result. I did not do any big mistakes and after everyone ran to the finish I knew, I was in 6th place. It was better result then I expected. 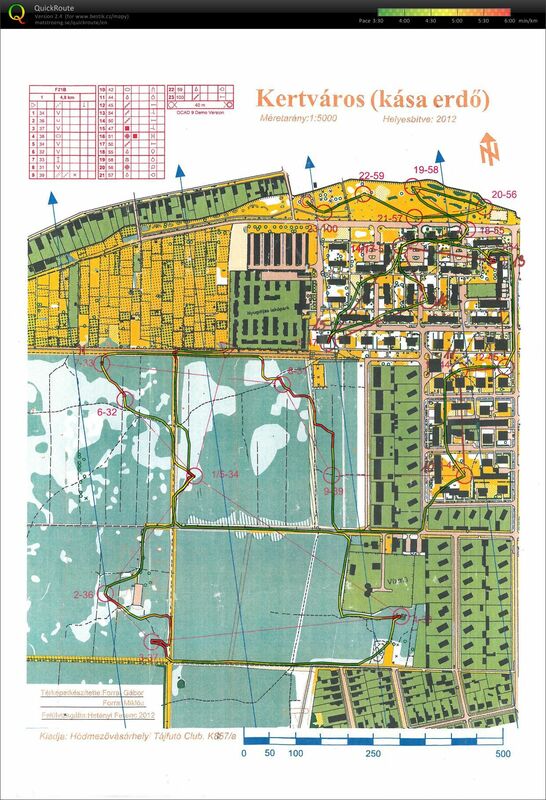 Unfortunatelly after we start talking in finish area about course and map, we realized, that many of runners ran throw forbidden area. Problem was mainly in area between controls 4-7. 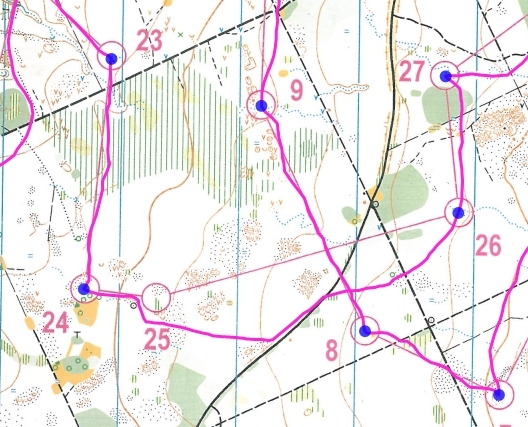 There were small pieces of private area, which are in speed under 4min/km almost unreadable. The most important competition of autumn part of seasson came last weekend. 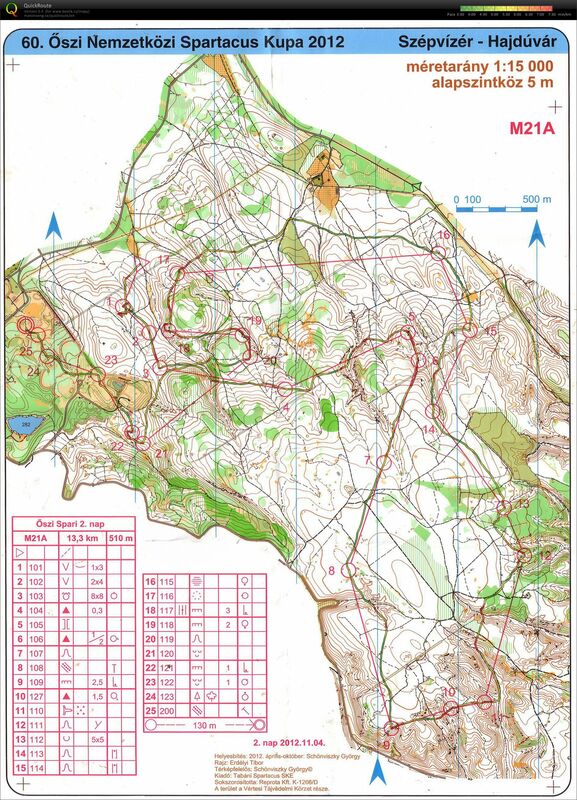 Terrains in heart of Bohemian Paradise promise really nice competition full of hard routechoices and hilly rocky surface. In qualification I did just few small mistakes, so i qualified myself from 5. place. 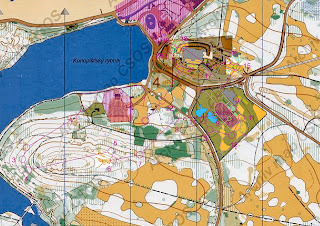 But... as you can see on the map, terrain was really poor for championships, almost 1/3 of track was running on field or on some compulsory leg... But probably it was tax to have better final in better terrains. So on Saturday it was better, at least about organizations, but still there were some weird things. On the other hand, there was prepared many perfect staffs which was in only Czech competition for very first time. Combination of GPS tracking and live television broadcasting was absolutelly perfect! After Saturdays competition was in Turnov also banquet. During last week I was qualified to semi-final of Czech championships in Catching features (popular computer o-game). We played semi-final on computers with many spectators in wonderful atmosphere :-D I qualified also to final competition, but there I lost with absolute winner - Jakub Škoda. Big congratulation to him! When I was in Czech Republic and I had free Sunday, I realised to continue with competiting. On Hana region Relay cup. Just little bit late but still... here is short report from competition weekend in Hugrary. On programme there were three competition in two days. 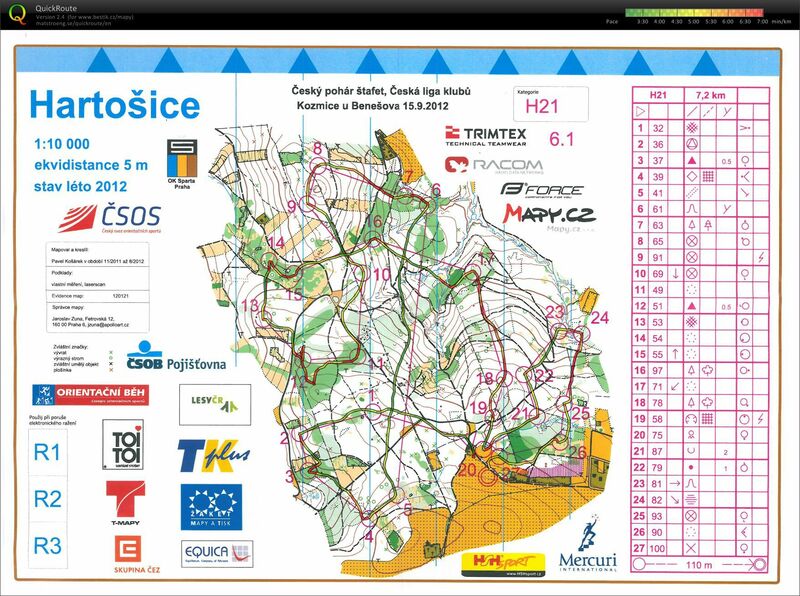 It like in Czech when we have on Saturday Sprint & Relay racea and on Sunday there is another Relay competition. But in hungary, there it is much harder. Combination of Saturdays Middle & Relay and Sunday Long distance - it is really killing combination. 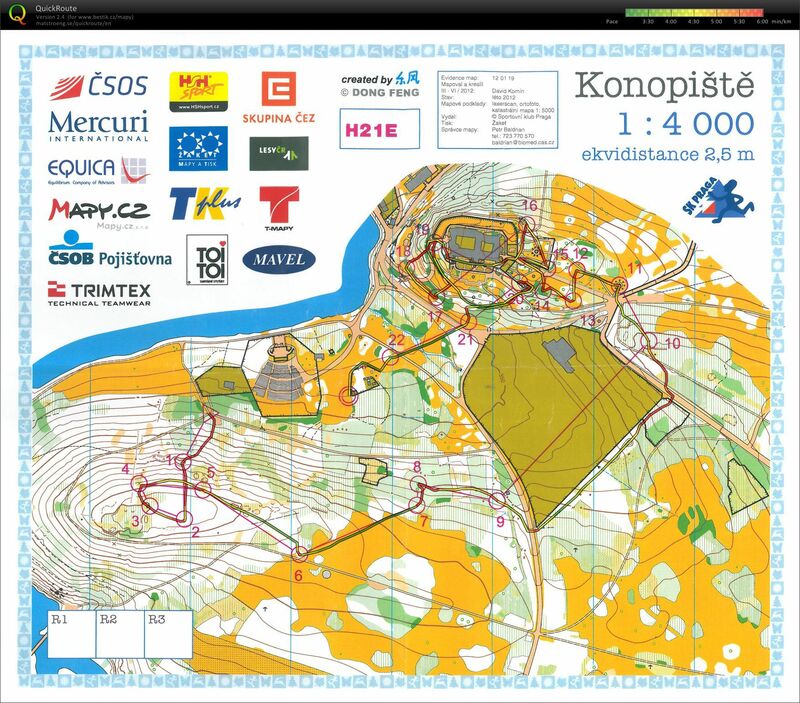 But also it is good preparation for Czech championships in Long distance. 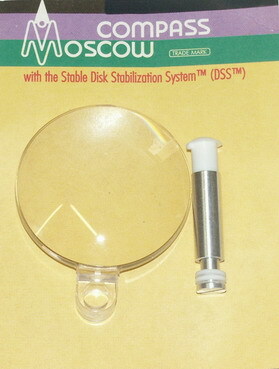 The name of competition was Kalocsa cup. It was 2 etapes competition as a sum of Middle and Long runners times. 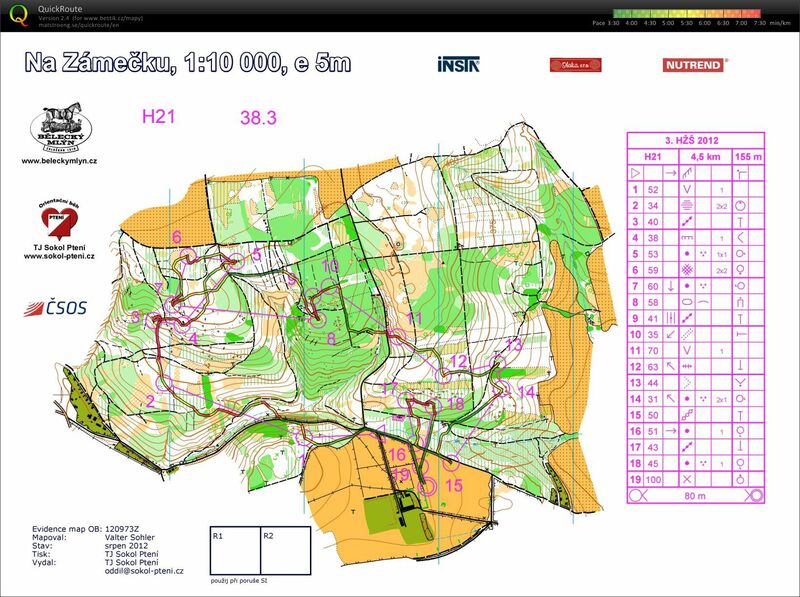 Accord course parameters it was clear that all of three competitions will be really quick. 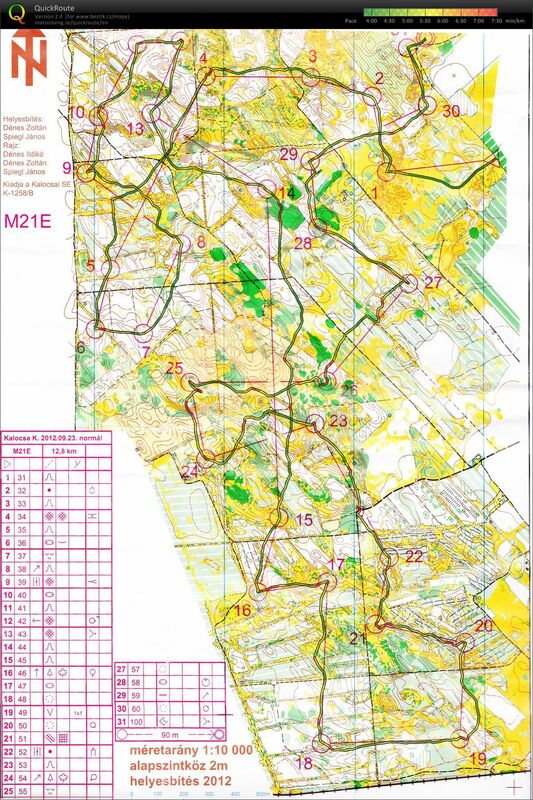 Middle which has 6km and should have 35 minutes for winner's time.. It means pace about 5:15 min/km. Accord split times you can see that I was really lucky. 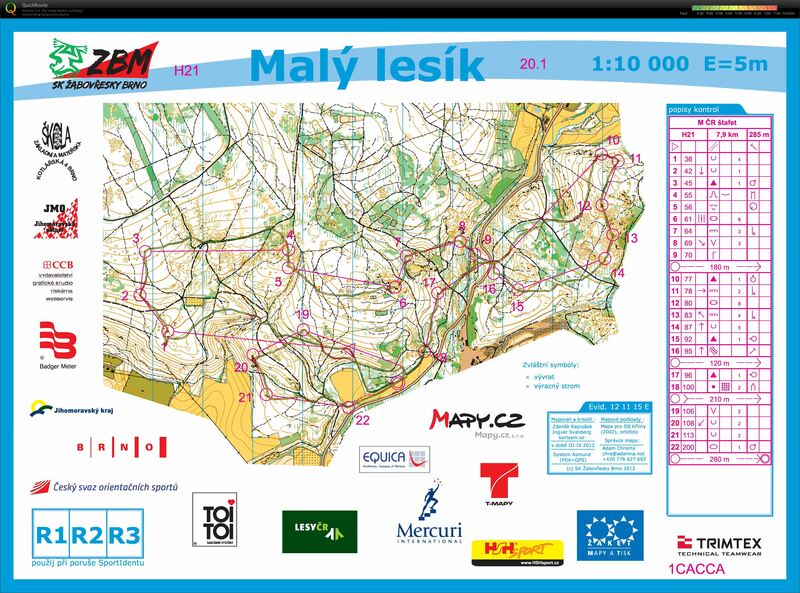 At last control point I was loosing one second to István, but I was quite fast in finish, so I went to sleep with 1 second leading ahead him. Afternoon we have continued with Relay. It was in same part of forest like Middle. And it was even quicker than middle. My real pace was under 5 min/km. I run third leg for my Hungarian club Szegedi Vasutas. 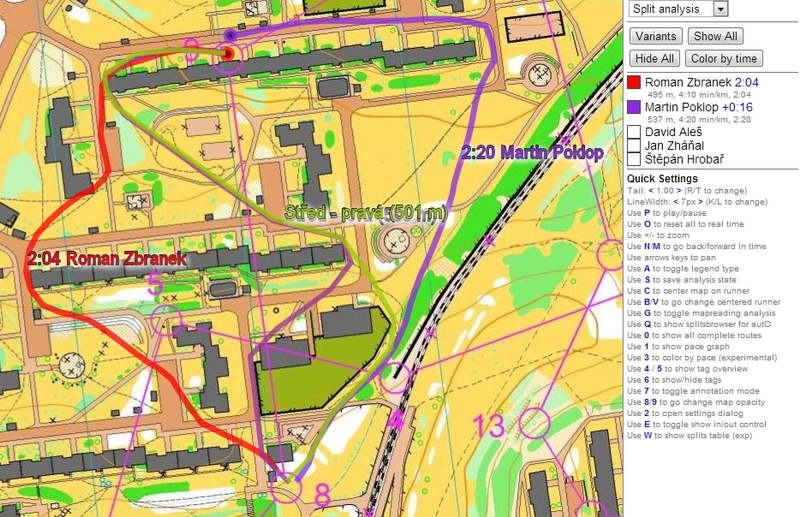 I started from third position with lost about 2:30 to leaders and 40 sec to second relay. I did a lot of mistakes and also I was little bit tired after morning competition. I saw many times second guy few dozens of meters ahead me, but I did not have enought strenght to get him. Fortunatelly he did a mistake to control no 13. Also leader did a mistake, so finally I was a new leader. So I used the rest of my powers and punched last three controls wery quick and celebrated victory with my teammates. When I saw all three maps from my Relay, I was quite suprised that on competition was just two forks. On control points 7+8 and in final loop control point 14. Last competition of weekend was Long distance. It was again really quick competition. 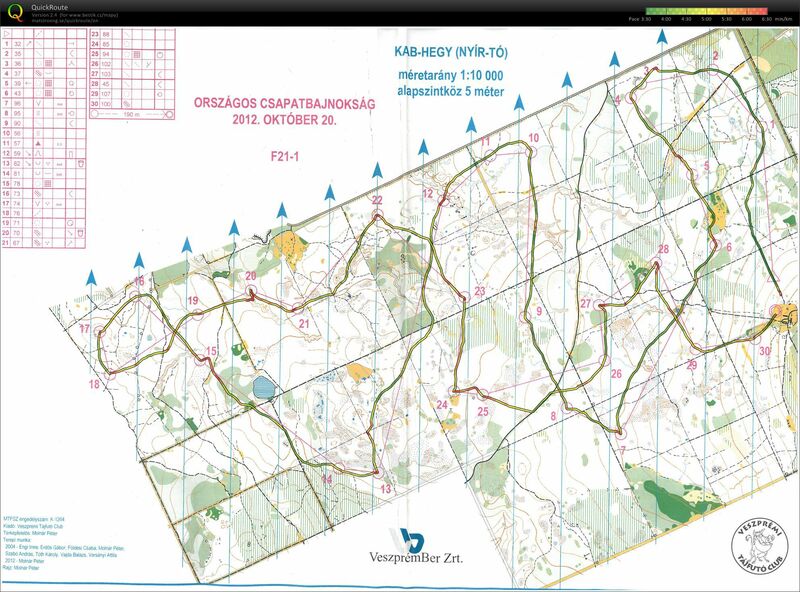 I do not know how much time should spend winner in forrest accord the Hungarian long distance (or "normal" distance? 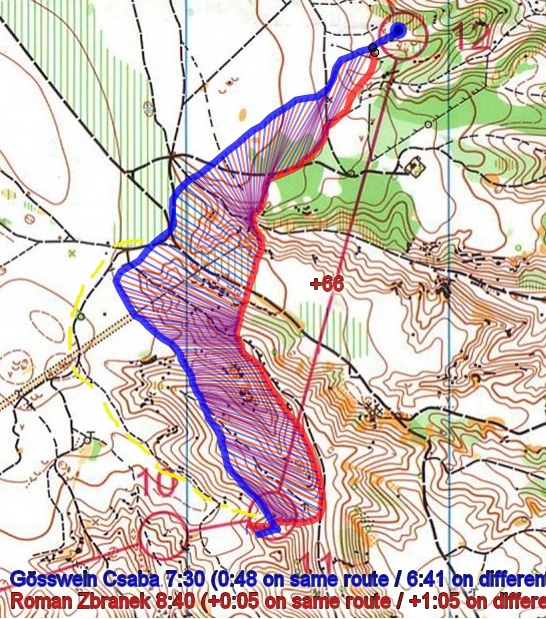 ), but 12,8km looks for the winner under 70 minutes. 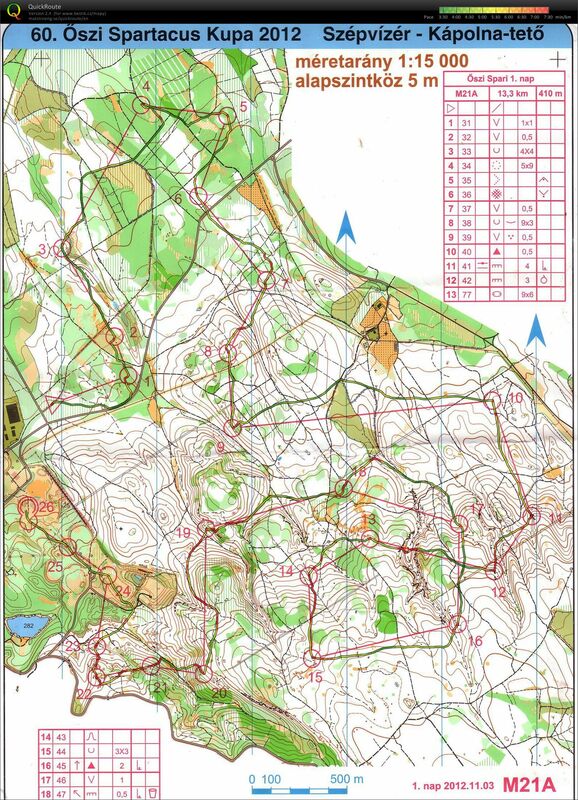 Becouse of flat and quite runable terrain, it was best option to run everything almost straight. This time I only won by one second. And after sum of results it was my victory for about 18 second from second one. So I had good wine and motivation to next competition. In Czech Republic started to be cold, but in Szeged was still hot weather. So that was the best conditions to go on in hard training. After monday TVO (television afternoon) I went on Tuesday to athletic track together with the people from Szegedi Vasutas Orienteering Club and we took some quick intervals. But... I near one "easy" routechoice I did the biggest mistake. I have bend my map and I did not see uncrossable fence. I realized that I am inside this fence after I saw second end. It that moment I knew I am disqualified. My problem was that first uncrossable fence was about 30cm high and i barely saw them in that overgrown terrain. So I told to organizers in finish to disqualified me. 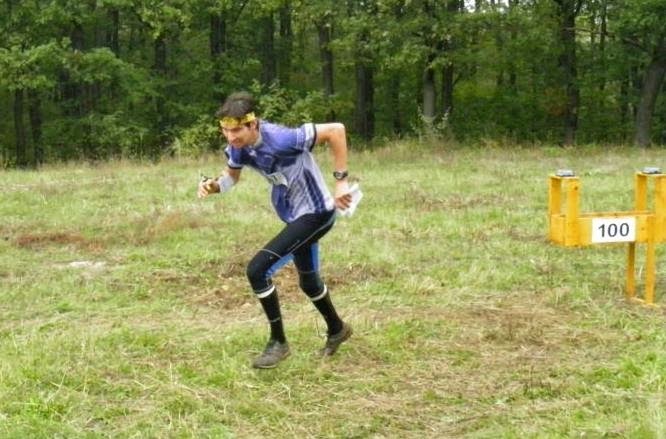 I was definitelly not satisfied with this race. Afternoon It was much more better. I did just one (but almost 2 minutes mistake) and I finished on 10th place on my leg. It was good result, but i knew it could be much more better. So I ate really good pasta with some meet, I drank 1, 2, 3, 4 beers (finally good czech beer) and went to bed prepared for next competition. It was even better that Saturday competition. This time no bigger mistakes, so finally good competition! Together with my teammates Marek Minář and Tomáš Navrátil we reached 12th position at all. This was one of our best position ever! Now I have to tell that I am quite satisfied with this weekend and my plan is to still training hard to show some good race in Czech Long Championships! For the first time I came to athletic track and try its clay. 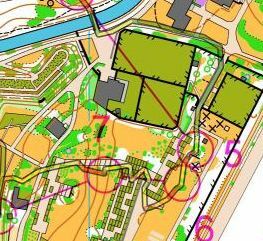 It is not as perfect as tartan track in Olomouc, but at least it has 400 meters and also possibility to use dressing-room. 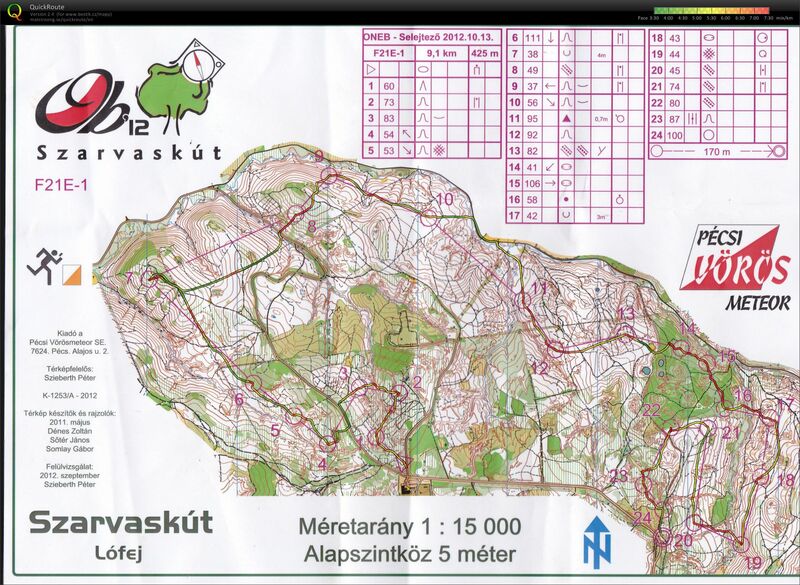 I really have to say that Hungarian orienteering are good athlets... Of course it is not bit surprise, becouse closest forest is about 30 km far away - so it is easier to train on track. 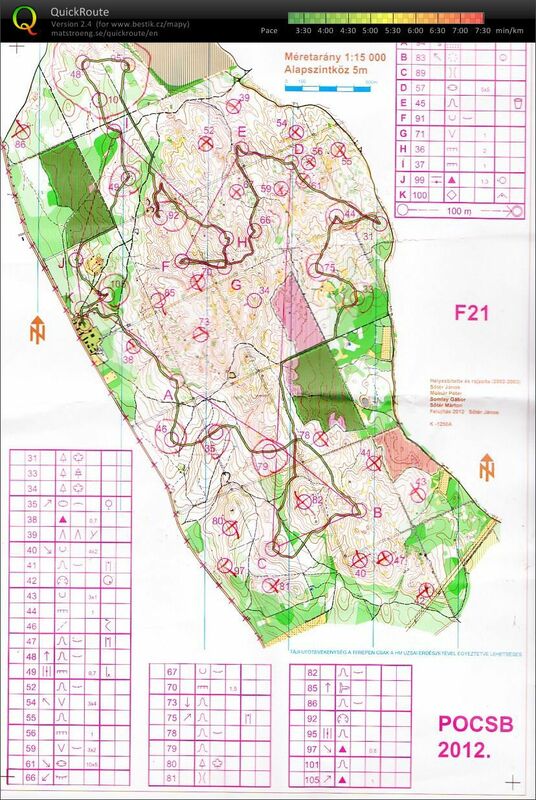 On Tuesday ordinated map training on map from Saturday competition. 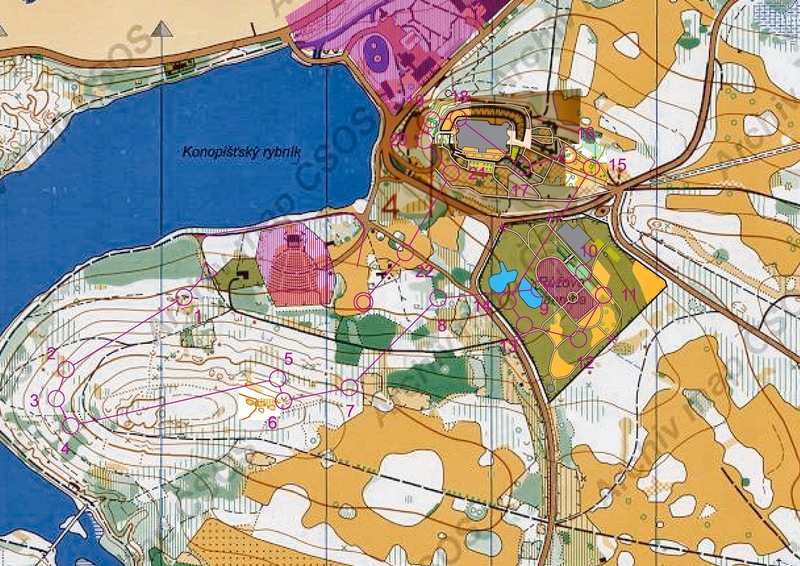 There was two shorter courses which were preparation for oncoming Sprint Hungarian Championships. So on friday afternoon i travel about four hours in car to the competition. In Hungary there does not exist something like embarged areas, so on Fridays evening we were walking throw sprint area just to see terrain. 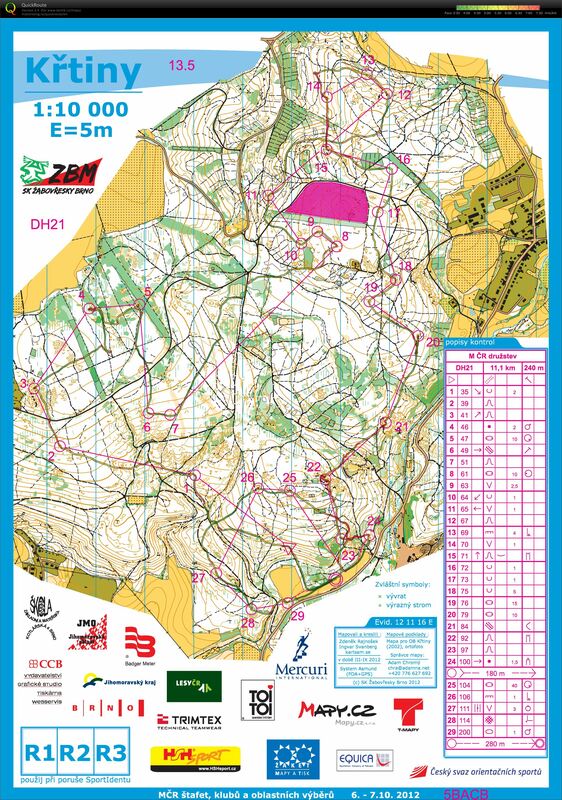 Then we bought some fast food pizza, took some beer and I really looked forward to Sprint competition in Zánka near Balaton. I took some steak to lunch and moved to quarantine to wait for my start time... After 40 minutes waiting in quarantine cames somebody with startlist and told us that start will be one hour delayed. For me it means staying in quarantine at all about three hours. But I survived that and try to focus to final race.